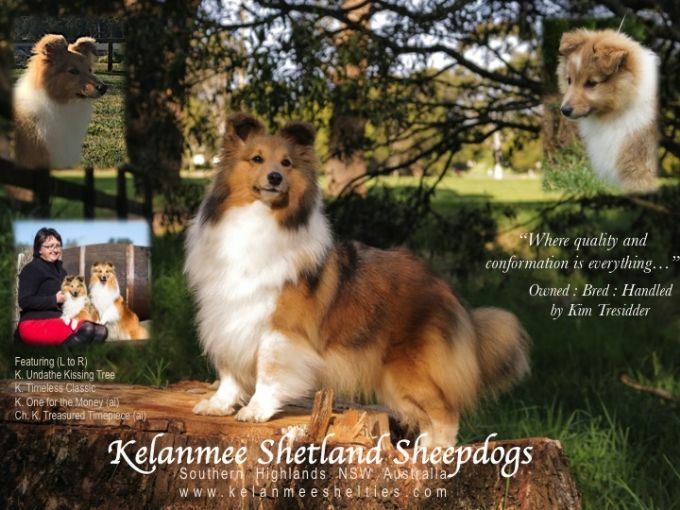 Welcome to the world of Kelanmee Shetland Sheepdogs! Our shelties are a family passion. Together with my son Luke, we currently campaign Shetlland Sheepdogs. I have been involved with Collie Roughs, Corgi's and horses. We commnecd showing in 1997 with Max - Ch. Cedine Dallas Gold. A beautiful shaded sable campaigned to Best in Specialty Show and title we were hooked. Since our commencement we have bred and/or campaigned some 15 Champions including two Supreme Champions - litter brother and sister, the only ones in Australia to have achieved this award - Supreme Champion Kelanmee Top Deck 'Decker' and Supreme Champion Kelanmee Autumn Aria 'Sophia'. Both have been awarded Best in Show at Specialty level. Our shelties are bred on true English pedigrees and are always rewarded accordingly. Shelties featured on our website have all been high achievers and have been awarded by Specialist, Australian and International Judges, at All Breeds, Specialty and the Sydney Royal Easter Show, such an excellent achievement. Multi Best in Show Aust. Ch. Kelanmee Richly Decked (photo above) marks our 10th Champion and his progeny are certainly making us proud. Our shelties have exceptional temperaments and we are pleased that this breeds into our lines. 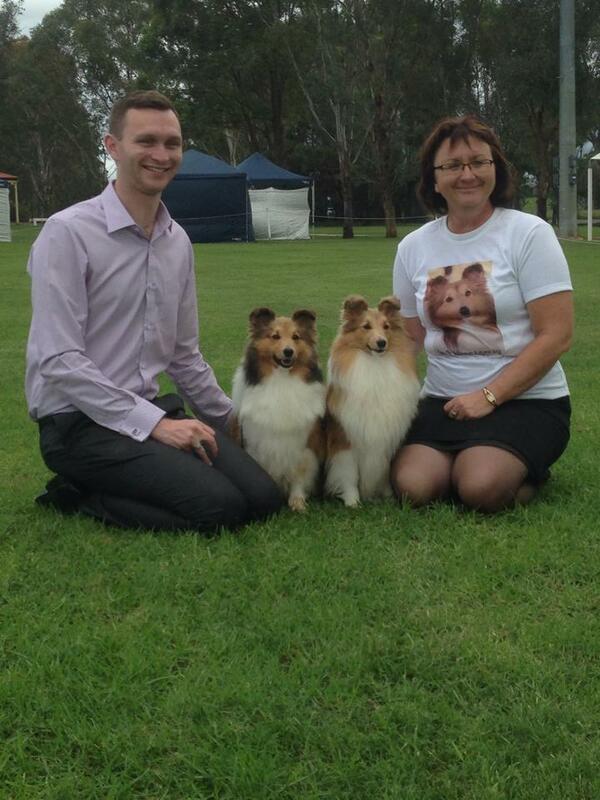 Two of our Shelties are currently being exhibited in Perth, Western Australia by Glenda Hesketh 'Glenmirra Shetland Sheepdogs' BIS Ch. Kelanmee Decked in Jewells 'Lara' and in Auckland, New Zealand 'Shelton Shetland Sheepdogs' by Lee and Ray Greer - Multi BISSS and BISS Australian and New Zealand Champion Kelanmee Decked in Diamonds 'Sammantha'. Breeding and showing our dogs has giving us an enormous amount of pleasure and we have shared this with many fellow breeders, and we will continue to do this.